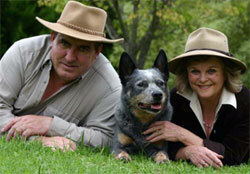 Bark Busters Home Dog Training was founded in Australia in 1989 by renowned dog behaviour experts Sylvia and Danny Wilson. Sylvia spent ten years as a shelter manager for the RSPCA Australia and became tired of dogs being surrendered due to behavioural problems. They worked at developing a training system based on their observations of the way dogs communicate and learn. As part of their studies it became apparent that some dogs suffer from stress when taken out of their own environment and that this hampered the learning process for both dog and owner. Based on this knowledge they developed a unique home dog training system where dogs could learn in a familiar, stress free environment. The Bark Busters system they created is known as the "Motivational Communication Method". Today Sylvia and Danny are both still running the international company and constantly work to improve the welfare of dogs wherever they may be. 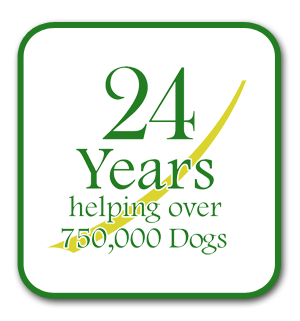 Our Bark Busters dog trainers have touched the lives of over "1 million dogs" worldwide. Bark Busters has grown to the largest dog training company in the world. Our trained therapists help dogs in Australia, New Zealand, USA, Canada, Japan, Europe and of course, here in the UK. Bark Busters now has over 300 offices around the world and is to expand further throughout Europe, Asia and South America. Bark Busters therapists use techniques to encourage the dog to use his brain and, at the same time, to satisfy the dog's need for safety and leadership. In the wild, dogs have a pecking order determined by their position in their group. When dogs perceive themselves to be higher up the pecking order than the owner(s), it usually results in a dysfunctional pack. The result can be stressful for both owner and dog.